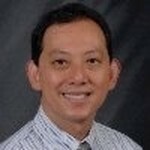 As a pediatric dentist, Alvin Amante, DDS, works with Smilez Pediatric Dental Group in Gainesville, VA. Trained in general and pediatric dentistry, Alvin Amante, DDS, has practiced in Seattle, Washington, Rochester, New York and Gainesville, VA. More than a decade ago, after completing a residency in general dentistry at the Eastman Institute of Oral Health at the University of Rochester, he relocated to the Seattle area. Alvin Amante, DDS, joined a group practice, where he tended to the dental needs of patients of all ages. While there, he also took part in an oral health outreach effort organized by the philanthropic agencies Medical Teams International and New Horizons Ministries. On a monthly basis, Dr. Amante provided free dentistry to children from families throughout the region who did not have adequate housing or health care. In 2008, Alvin Amante, DDS, returned to the Eastman Institute to undertake a clinical residency in pediatric dentistry. He completed the program in 2010 and accepted a position as Site Director of the Institute's Smile Mobile Program. The program furnishes routine and emergency dental services to preschool and elementary school children who lack access to regular care. To date, the program has reached approximately 3,000 students in 17 Rochester schools. In the summer, Alvin Amante, DDS, also supplies services to children living in outlying areas and to Head Start participants. As a pediatric dentist, Alvin Amante, DDS, worked with the Eastman Institute’s Division of Community Dentistry. He functioned as part of an extensive network that focuses on the welfare of families and children who have less access to dental care. Currently, Dr. Amante works at Smilez Pediatric Dental Group in Gainesville, FL. Join Today to follow and contact Alvin Amante.